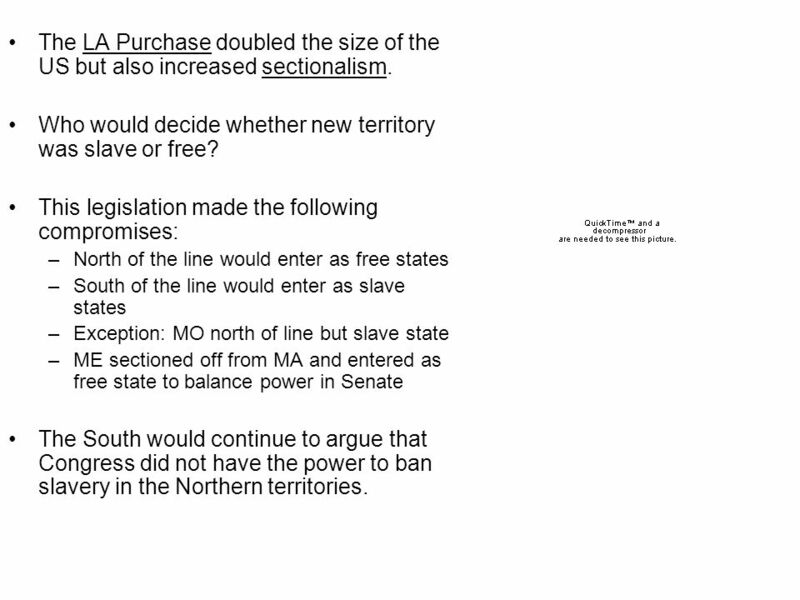 2 The LA Purchase doubled the size of the US but also increased sectionalism. Who would decide whether new territory was slave or free? 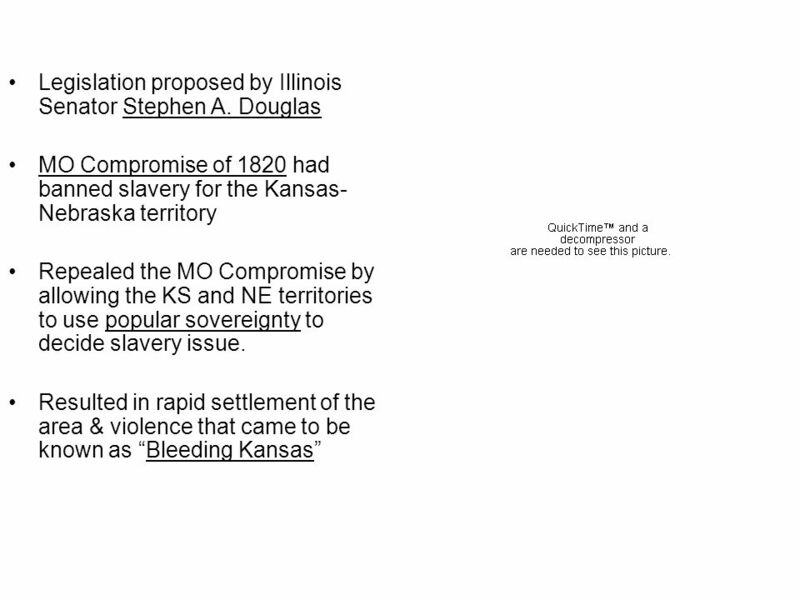 This legislation made the following compromises: –North of the line would enter as free states –South of the line would enter as slave states –Exception: MO north of line but slave state –ME sectioned off from MA and entered as free state to balance power in Senate The South would continue to argue that Congress did not have the power to ban slavery in the Northern territories. 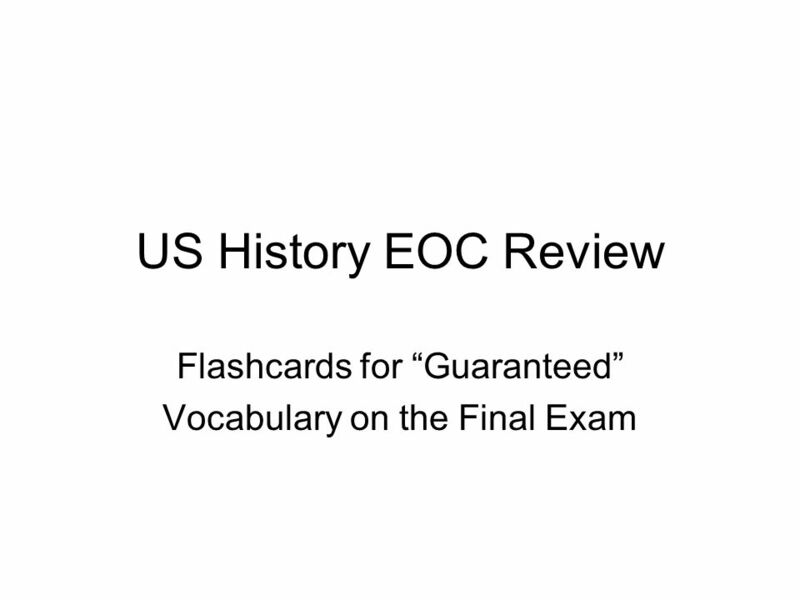 Download ppt "US History EOC Review Flashcards for Guaranteed Vocabulary on the Final Exam." 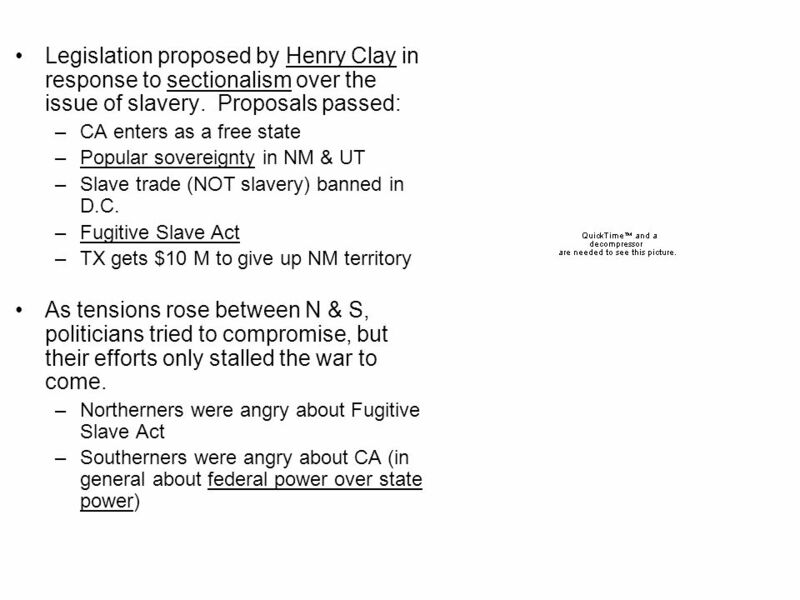 Name Date Hour Unit 3: Slavery Attempts at solving the Slavery Problem. The 1850sOn the verge of War! Chapter 10 Section 1. What were the primary causes of the Civil War? Chapter 10 Section 3 New Political Parties. Jeopardy Famous People Causes of the war Compromise Of 1850 Kansas Nebraska Act Leftovers Q $100 Q $200 Q $300 Q $400 Q $500 Q $100 Q $200 Q $300 Q $400. 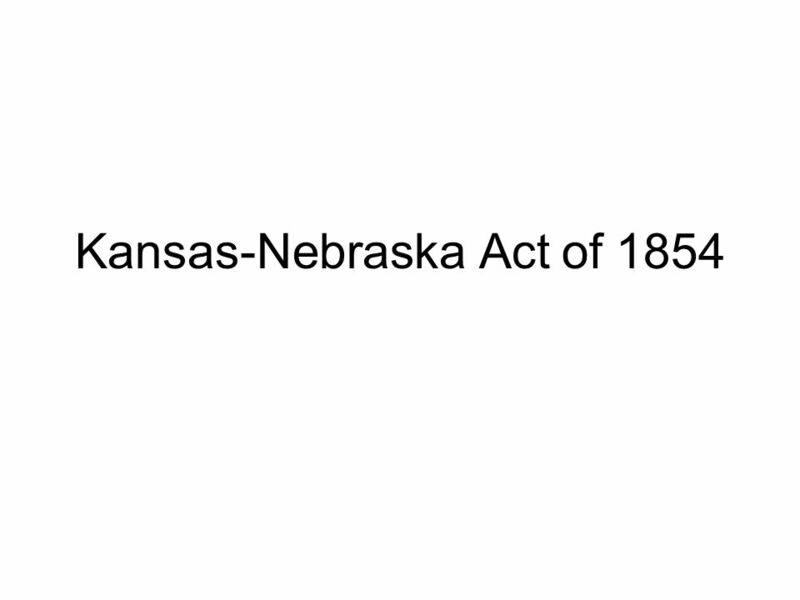 Slavery Acts leading to the Civil War Fugitive Slave Act Kansas-Nebraska Act. Popular Sovereignty: Broken Compromises. Introduction  As the United States continued to expand (Mexican-American War), debates over where slavery should. 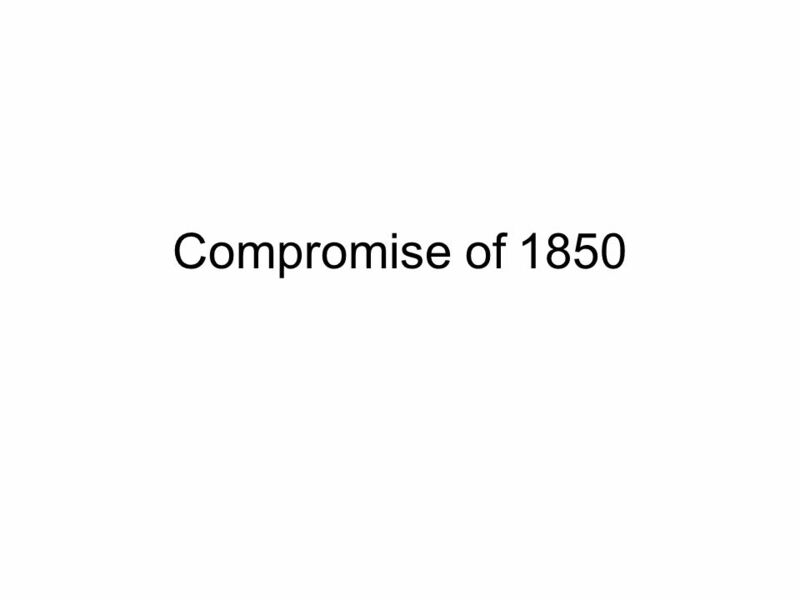 What role did compromise play in delaying the Civil War? Laws, Policy or Acts prior to the American Civil War. Expanding Slavery What should we do with our slaves? 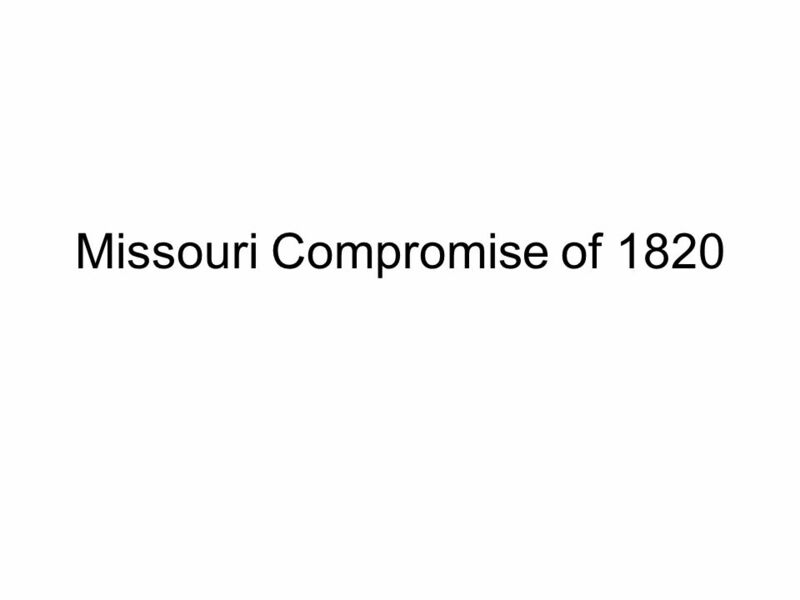 Slavery Compromises Missouri Compromise aka Compromise of 1820  1 st Missouri Compromise  Missouri applied for admission as a state  Maine.